This event is to allow apprentices and trainees to try barge driving with a Freeman Lightermen aboard to steer. 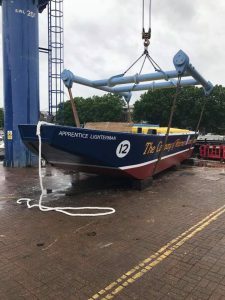 There will be a passenger boat for the apprentices and trainees family to watch the row with space for Freemen on a first come first served basis. Contact Honorary Court Assistant John Potter 01732 350381 or john.r.potter1@hotmail.com for more details.